Through our social media channels we reach out to experts, policymakers, and practitioners around the world to create a knowledge-sharing community. We leverage various platforms to gather analysis from our experts and fellows, and to share our publications, information about our courses, and live updates from our events. Many of these features spark dialogue, debate, and networking among the community. In order to better serve our community of leaders in international security, we have revamped our website. The new website is designed to make the experience more enjoyable and intuitive so that our community receives important analysis and information almost instantly. The new site is available on mobiles and tablets and features increased multimedia. The new Global Insight section is dedicated to sharing our community of experts’ practice-oriented research and knowledge. 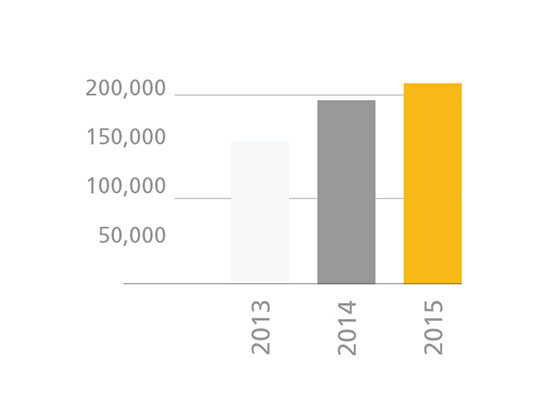 The graph below shows our growth in website visits over the last three years. Content can now be shared to email and users’ favourite social media platforms straight from our pages everywhere on the site. We have also focused on user-friendly navigation with filters, finders, a flying toolbar, and a new FAQ section. We cover a wide range of issues, which is why we have broken them down into key topics of expertise. On each topic and initiative page there is a description of the issues being discussed, as well as related news, experts, courses, publications, and events. In addition to our core research staff, we bring together a wide network of leading experts from around the world who provide research, analysis, and recommendations on issues shaping today’s global agenda. A section of the website is now dedicated to these experts; it can be searched by topic, programme, or affiliation. In terms of keeping up to date with what is going on at the GCSP, members of our community can now choose whether they would like to receive invitations to our public events, announcements about our new publications, and information about our upcoming courses. Our public events now reach far beyond the practitioners, policymakers, and leaders who are able to come to our premises at the Maison de la paix. In 2015 we began livestreaming our public discussions and debates to viewers around the world. The footage can be viewed in real time, allowing people to engage with the discussion via the comments section and on Twitter, while the videos continue to be available after the event on our YouTube channel. In slightly more than a year of its existence the GCSP’s Global Fellowship Initiative (GFI) has welcomed over 85 fellows. Launched in November 2014, the GFI aims at fostering creativity and innovation by bringing together experts and practitioners who normally would not be able to discuss critical issues related to global peace and security with one another. Today’s world is segmented into the different areas of expertise we work in and experts from one field only rarely speak constructively to those from another. We can learn many things by breaking down such silos: innovation happens through connections. This is illustrated in the Strategic Policy Analysis by Executive-in-Residence Nicolas Boulgaris on “Sector-specific Decision Failures in Business and Government, and Potential Solutions”. 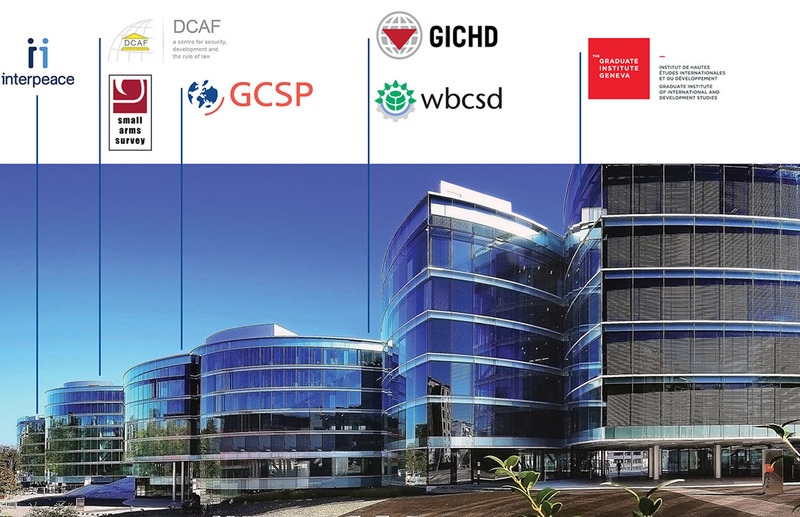 The GCSP therefore strives to build a vibrant, multidisciplinary, multicultural, and multi-generational network of like-minded experts from different disciplines. The GFI welcomes representatives from an array of sectors, including diplomats, military officers, leaders from the non-profit and private sectors, scientists, journalists, and even artists from all geographical regions. In the context of the GFI, fellows have the opportunity to break down silos by regularly sharing their experiences and exchanging their ideas with current and future international decision-makers and leaders. An example of this was when Mr Miguel Ángel Moratinos Cuyaubé, GCSP Associate Fellow and former Spanish Minister of Foreign Affairs and Cooperation, came to the GCSP for an Executive Conversation on “The Role of the Diplomat and Diplomacy in a World of Global Transformation”. Another example is the Public Discussion organized by Doctoral Fellow Dr Aaron Stein entitled “After Paris: The Challenge of Returning Fighters”, which then led to an editorial that was well received by the community. 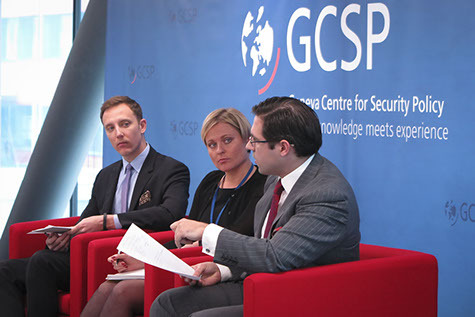 GCSP fellows have the opportunity to both work independently or meet and exchange ideas with other fellows, GCSP staff, and course participants. Fellows are also able to participate in the courses and public events that the Centre offers annually. Many fellows also regularly feature in prominent news outlets either as experts or journalists. The Maison de la paix is a venue of choice for world-leading academics, influential policy-makers, and recognized practitioners who develop pioneering ideas and design effective operational responses in the areas of peace, security, and sustainable development. Within the Geneva landscape of specialists working for peace and security, the Maison de la paix unites in one place an especially rich and diverse range of expertise and experience that is ready to support the implementation of this bold new agenda. - exploring innovative and creative ways of managing international challenges. The GCSP is engaged in partnerships with numerous leading organizations and collaborates on a variety of activities. 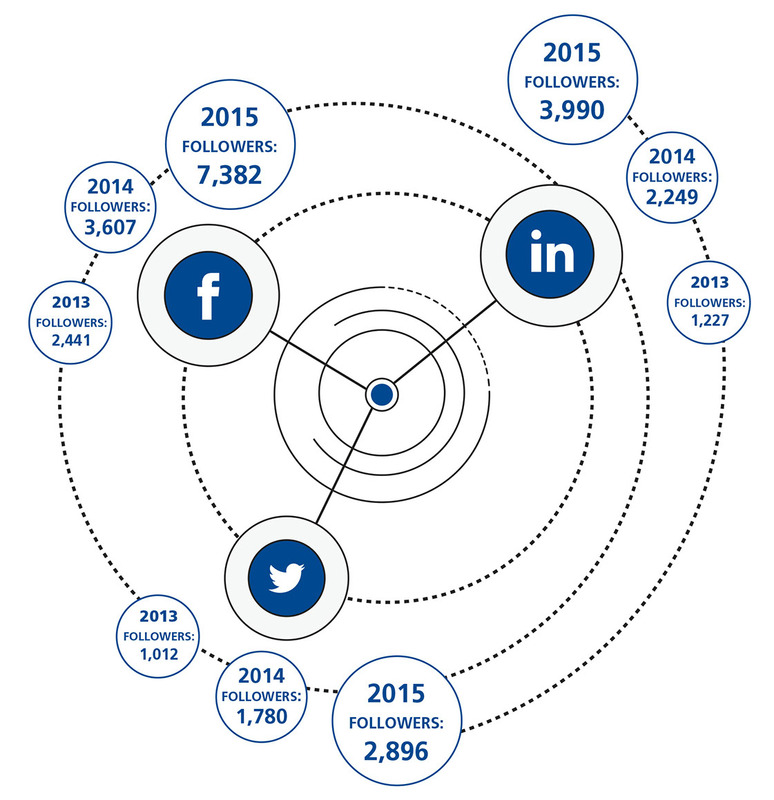 In 2015 we embarked on significant new partnerships and initiatives. The GCSP-CCL Leadership Alliance was launched in November 2015as a first-of-its-kind partnership between the GCSP and the Center for Creative Leadership (CCL). The Center for Creative Leadership (CCL) is a top-ranked, global provider of executive education that accelerates strategy and results by unlocking the leadership potential of individuals and organizations. Founded in 1970, the CCL offers an array of research-based programs, products and services for leaders at all levels. Ranked among the world’s Top 10 providers of executive education by Businessweek and the Financial Times, the CCL is headquartered in Greensboro, NC, with offices in Colorado Springs, CO; San Diego, CA; Brussels, Belgium; Moscow, Russia; Singapore; Gurgaon, India; Addis Ababa, Ethiopia; Johannesburg, South Africa; and Shanghai, China. The Leadership Alliance was created to advance the effectiveness of leadership in public, private, and civil society organizations, especially those dedicated to advancing peace and security. It is a unique collaboration combining the vision and talent of two leading actors in their respective fields that share complementary missions and capabilities. With the emergence of a more complex international security environment, the Leadership Alliance offers international peace and security professionals and organizations opportunities to develop their leadership capabilities to meet 21st century challenges. The Alliance combines the CCL’s experience and expertise in executive education and leadership development for large, multi-level organizations with the GCSP’s in-depth knowledge and expertise of peace-, security- and policy-related issues. It offers innovative ways of helping individuals, organizations and communities to meet their leadership needs. It is housed at the GCSP’s headquarters in Geneva, a global epicentre for creating multilateral understanding and agreement. • seeking partnerships to build a global community of leaders that connects professional and geographical silos, with the aim of developing, advancing, and applying innovative and creative leadership practices. With this new initiative the GCSP intends to foster creativity and innovation through courses, events, partnerships and the Global Fellowship Initiative. The Initiative has one central goal: to provide forward-looking, fresh and imaginative solutions for leaders and policymakers concerned with international security. By launching the Creativity and Innovation Initiative, the GCSP aims at enhancing the capability of officials, officers and executives to effectively address global challenges to advance peace, security and international cooperation worldwide. The Initiative does this by creating spaces where different cultures, domains, disciplines and generations come together to gain insights on new ways of thinking and generate new ideas. Rooted in the Creativity and Innovation Initiative, the Global Fellowship Initiative brings together diplomats, military officers, leaders from the nonprofit and profit sectors, scientists, journalists and even artists. They come from around the world – women and men of all ages – to share their experience and exchange ideas. The Global Fellowship Initiative represents a unique multi-disciplinary cross-generational approach to facilitating dialogue and exchange. The Initiative also awards the annual Innovation in Global Security Prize. This prize was developed to recognize excellence in new ideas and contributions to the field of sustainable global security. The purpose of this new partnership is to promote and expand the framework of cooperation between the GCSP and the Emergency Services Branch (ESB) of the United Nations Office for the Coordination of Humanitarian Affairs (OCHA). 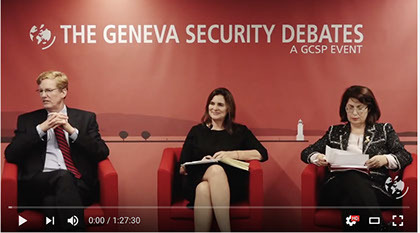 Having signed a cooperation agreement in September 2015, the GCSP and ESB/OCHA acknowledge the central role of executive education, applied policy research, and dialogue to enable both humanitarian and military actors to provide the right support to the right people, at the right time, in the most appropriate way. 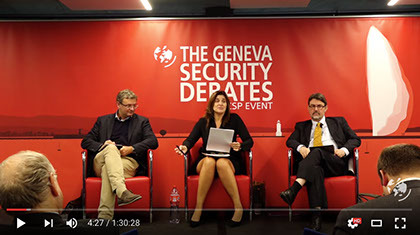 In September 2015 the GCSP became an inaugural member of the International Geneva Gender Champions Leadership Network, which pledges to hold gender-inclusive panel discussions, conduct leadership courses for women, and expand the number of women experts in our Global Expert Network of speakers. 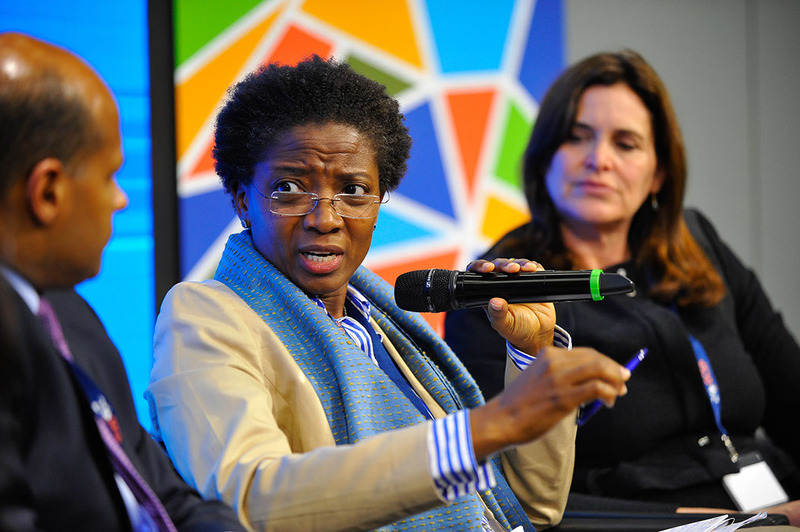 Geneva Gender Champions (#GVAGenderChamps), a Leadership Network, connects institutions and individuals in a new constellation that enables a deeper level of engagement to reflect a modern world where gender equality and diversity are the norm. The network will allow for more critical thinking on how to bolster gender equality, leverage institutional knowledge, and facilitate a necessary exchange of experience that will enrich the managerial and programmatic activities of all those involved. The partnership between the Geneva Academy of International Humanitarian Law and Human Rights and the GCSP was initiated in March 2015 with the conclusion of a partnership agreement. 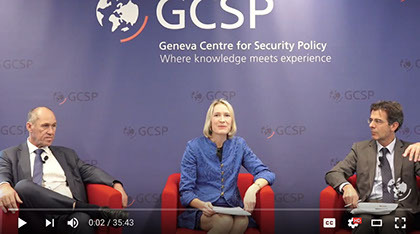 With this collaboration, the GCSP is responding to the growing need for dialogue, education, and guidance in areas at the intersection between security policy and international law. This partnership contributes to the ongoing debates regarding the law of armed conflicts and the practical challenges in its implementation by armed forces. The purpose is to enhance our understanding of emerging challenges and to address them both effectively and in accordance with the recognized principles of international law. The History and Policymaking Initiative seeks to bridge the gap between history and policymaking. It brings together high-level academics and practitioners with a view to creating the conditions for historically informed policymaking in the future. Jointly conducted by the GCSP and the Graduate Institute of International and Development Studies (IHEID), this initiative seeks to reactivate and re-energize an important interface between the study of international history and the practice of international policymaking. Seeking to go beyond the study of isolated case studies while creating a forum for the systematic use of history in the making of policy, the initiative seeks to build a platform to bridge the gap between history (and the academic world) and policy-making (thus reaching out to diplomats, practitioners, and current and future leaders). governments on the policy instruments required to navigate implementation and achieve the goals by 2030 (Goal 17). Through our leadership, peacebuilding and crisis management initiatives we foster peaceful and inclusive societies and effective, accountable and inclusive institutions (Goal 16) – with a particular focus on gender equality (Goal 5). We also equip course participants with the knowledge and skills to act on specific goals with potential security dimensions such as global health issues and climate change (Goals 3 and 13).